My sister has always wanted a macbook, but I recently convinced her that Ubuntu is a great OS with much more similarity to Mac OS than Windows. She said I can install Ubuntu on her laptop but it is not really big on performance. I really like the look and feel of Ubuntu and don't want to install Lubuntu or something like that. Is there a way to run Ubuntu in sort of a 'performance' mode rather than 'appearance' mode? And what other settings can I adjust to increase the performance of the OS? I typically uninstall all three after a new installation. The first one is needed for file-sharing in the local network if you have one. Second is the print daemon, and third is used to broadcast common network services across the local network and finding local hosts by using friendly names like “local.workstation”. Later, if you want to enable that daemon, all you to do is delete the .override file. This is totally optional. Nautilus, by default, tries to show thumbnails of each and every file in a directory. If the directory contains a lot of files, this causes a noticeable delay. Now if you are in the habit of regularly previewing thumbnails of your images, don’t do this optimization. Otherwise, if previewing thumbnails don’t matter to you and all you are interested in is speed (like me), you can go to Edit->Preferences->Preview-tab and set the preview settings to Never. I believe what you are looking for is ubuntu's 2d mode, but it was removed in 12.10. I found an article that mentions a way to disables some of the additional eye candy. Can I install Ubuntu 14.04 LTS on a laptop without pae? What can I do to improve Ubuntu 10.10 performance on my netbook? 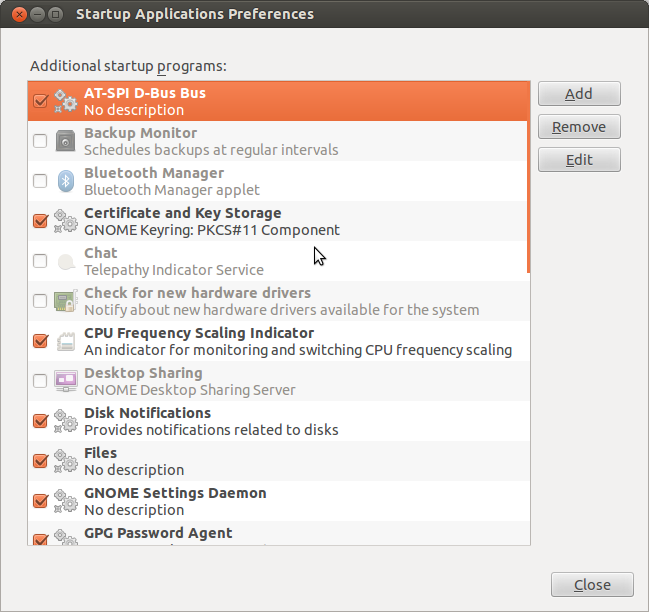 Low performance in Ubuntu 12.10: is there a problem? What can I do to improve kernel and overall performance? Good computer, good windows performance, terrible Ubuntu performance?